Many companies request applicants to send their resume and cover letter by email, making it essential to do this correctly. 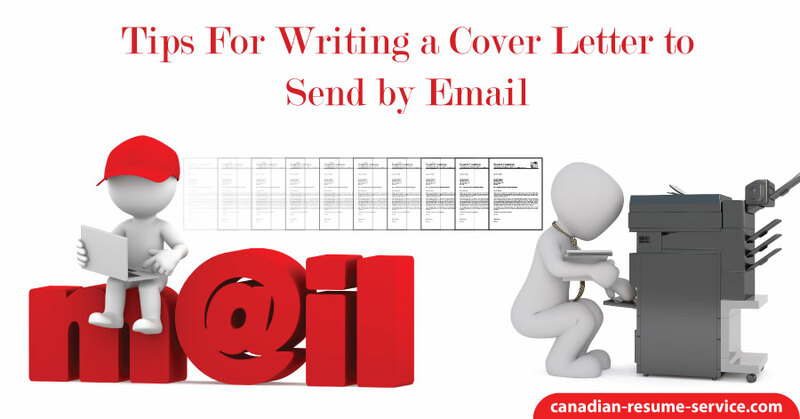 Review these tips for writing and sending an email cover letter. Ensure your email cover letter is neat, enticing, concise, and in a professional format. Try to make your email look different than “just another email”. Some employers will print the email cover letter out to keep it on file with your resume, making an excellent impression is critical. If you are applying to a job posting carefully read the instructions from the prospective employer – sometimes employers check to see if you can follow directions. Clarify what format the employer wants the cover letter and resume delivered to them in. Some companies will want it copied and pasted into the body of the email – if this is the case, you will need to ensure the formatting is stripped from the MS Word file. Others may want it sent as an attachment. If they request you send it as an attachment, then save the letter in PDF or Rich Text MS Word format before attaching it to the email. These two formats will hold the formatting of the message and resume. Believe it or not, the subject line of your email will show up next to your email address when the recipient opens the email. Often they will skip by emails that don’t have a subject line or if it looks like junk – they will figure it is not essential. They might go back later and read them, but they will review the interesting ones first. Be specific when writing the subject, for example: Marketing Manager Position Cover Letter and Resume. If there is a job posting number, put that number in the subject line. This way they know exactly what you are sending and why. Here is a blog post I found called Awesome Email Subject Lines Job Seekers Use. Keep the length of the lines to 65 characters in the body of an email. Some programs will automatically do this for you but make sure you double check sentence length. This will make the cover letter consistent in spacing which will create a professional presentation. Type your email to include your name, email address, and home and cell number. You want to make sure they don’t have a problem contacting you – make it easy. Some employers will go on to the next applicant if they don’t get hold of you within a reasonable amount of time. Since you want this to show how professional you are, don’t add unprofessional “extras”. Don’t insert jokes, verses, emotions, abbreviations, odd colors, or comments similar to what you get at the bottom of some emails. These are fine for personal emails that you exchange with friends and family members, but not when you are applying for a job. Carefully review for spelling errors, typos, grammar, and length of your sentences. Triple check your contact details. Write the email cover letter concisely, detailed but not lengthy, show your personality and passion for the work that you do. Once you have your email cover letter finished, send it to your email or a friend’s email, where you can view it to see that it looks professional, is easy to read and has all pertinent information included.